As we walk through the dark, wood-paneled lobby of the Lord Baltimore Hotel, a grand baby piano greets us, almost out of place in this lobby full of bustling teens, all excited to play their role in NESAWG's annual It Takes a Region Conference. 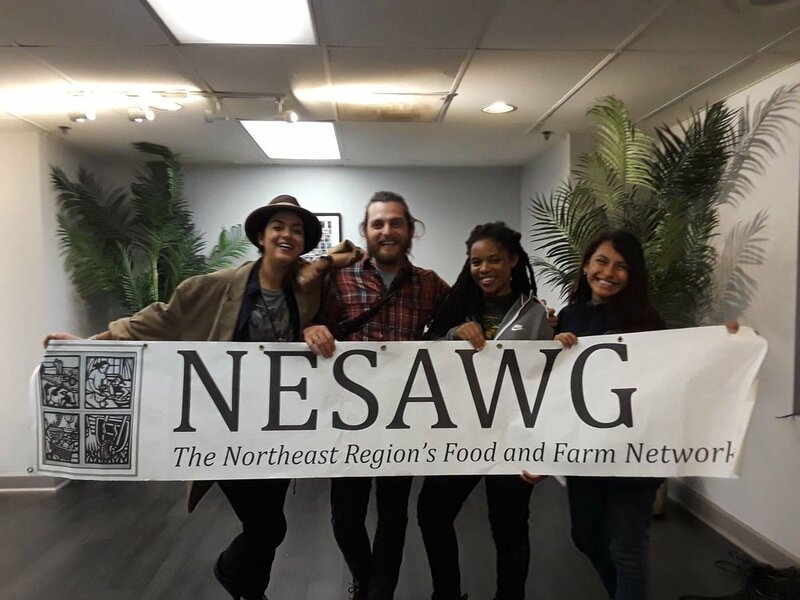 A little background about NESAWG - the Northeast Sustainable Agriculture Working Group - its central role is to bring together farm and food systems practitioners within the Northeast region to collaborate, discuss, exchange solutions and ideas on how to heal the chronic food systems that exist. After we grabbed our name tags and a muffin (or two) we settled into preparing our workshop. We, the NYC Youth Food Justice Network, started off the youth track programming with a workshop themed Youth Leadership vs. Youth Empowerment. We explored the differences and the similarities and what that means in the work we do as individuals, organizations and a network. It flowed beautifully as we broke the ice, and did several interactive activities that got everyone moving and excited. The words of Cesar Chavez among others sparked conversation: "History will judge societies and governments - and their institutions - not by how big they are or how well they serve the rich and the powerful but by how effectively they respond to the needs of the poor and the helpless.” The quote was recreated into a powerful skit by a group of teenagers, some of whom had never met before that very moment. In that instant, having been a part of starting the conversation, creating the workshop - I was moved to tears. There was a huge rush of emotion that subsided all the anxiety that comes with presenting a workshop to a room of practical strangers for the first time, a realization that this movement was bigger than me, bigger than the three acre farm in Brooklyn I love so much, bigger than all of us. It was the future and these kids in this very room are the determining factors in how it’ll play out. Well, that is all for now - to another memorable year at NESAWG, thanks again and see you next year! Newer Post2017 Year in Photos! Older PostHarvest Fest 2017 Pics!